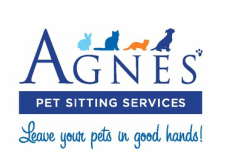 Agnes' Pet Sitting Services - Agnes' Pet Sitting Services Leave your pets in good hands! Welcome to Agnes' Pet Sitting Services! Dog walking, Pet sitting, Puppy care, Holiday care, House Sitting, Dog Training and more... Contact us Today! Residential Weight Loss Program for Dogs! Friendly, trustworthy, kind, animal lover. What more could you ask for in a pet sitter? When you contact us we will arrange a FREE Non Obligation Home Visit giving all parties the chance to meet and greet. This is when individual requirements will be discussed and the right forms filled. We are Fully Insured, DBS Checked, Pet First Aid Certified and have a fitted vehicle to transport your pets in comfort and safety. In-Home Care for your pets! We offer a real and caring alternative for all domestic and exotic pets in the comfort of their own homes and surroundings. They can stay either with us in our warm and loving family home or in the comfort of their own environment. Avoiding the stress that pets go through when they think they have been abandoned. Agnes' Pet Sitting Services is a pop-in pet sitting service in Stratford-upon-Avon run by me, Agnes. Offering friendly, reliable and affordable services. We'll provide the perfect care for your pet during your absence. Be it dog walking, pet sitting, pop-ins, puppy care, holiday care, house sitting, fit camp or dog training the attention is always one-on-one, personal and professional. When you choose Agnes' Pet Sitting Services for the in-home care of your pet, you can rest assured knowing we treat your pets as if they were our own. So whether you're going on vacation or travelling for business, have work commitment or attending a special occasion; Agnes' has extensive pet care knowledge, first aid training and proper insurance to ensure your animals are happy and healthy during your absence. We will personalize the care and attention for your pet like like no other pet sitting service. We treat your pets like family, just like you would! Not just that, but we also treat your home in the same regard! Based in Stratford-Upon-Avon we cover areas within a 2,5 mile radius. Customers outside these area's will be accommodated although a small charge for mileage will be added. Any information held by APSS is protected under the Data Protection Act 1998.